What is M-Care health insurance policy all about? In a country that is as densely populated as ours, the density of vectors is even more and perennial. We adhere to the most trivial techniques to safeguard ourselves from such vectors. These techniques are short term and do not protect us from getting infected, and have no provisions to aid us after falling ill. Also, with the ever-increasing charge for one's treatment, it becomes extremely difficult to accumulate the finances to pay off one’s hospital bills immediately. 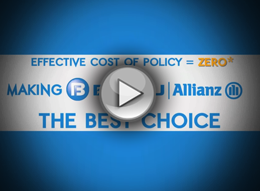 Bajaj Allianz helps you face any financial setbacks that might occur due to such instances. Thus, bringing you a health insurance policy for taking care of the most common vector-borne ailments. 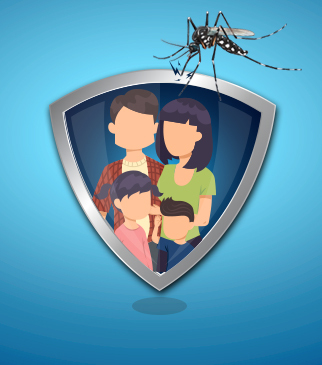 If the insured is diagnosed as suffering from a vector-borne disease which first occurs or manifests itself during the policy period, the company shall pay a lump sum benefit to the insured or insured person. We provide you with immediate assistance to cater to your financial needs during your need of the hour, as we acknowledge that getting admitted in a hospital could usually be impromptu. Hence, we have provisions to help you go cashless by getting insured with us! What Coverage Do I get? If the Insured or the Insured Person(s), as the case may be diagnosed as suffering from a vector-borne disease listed below which first occurs or manifests itself during the Policy Period, the Company shall pay a lump sum Benefit, as specified under the Policy Schedule, subject to Sum Insured limits, terms, conditions, definitions and exclusions contained or otherwise expressed in the Policy Schedule. Any Treatment other than for vector-borne diseases as listed coverage section. Admission to hospital for less than 24 hours. Any of the listed vector-borne disease diagnosed within the first 15 days of the date of commencement of the Policy is excluded. This exclusion shall not apply to an Insured/Insured Persons, as the case may be, for whom coverage has been renewed without a break, for subsequent years provided there are NIL claims in the previous Policies. If the health insurance policy has opted after an occurrence of any of the listed vector-borne diseases, a 60 days waiting period shall be applicable for the specific ailment from the date of the previous admission. However once a benefit is paid during the Policy Period and the Named Insured renews the Policy, in such scenario for the renewal Policy, 60 days waiting period from the date of the previous admission would apply for the specific ailment of which a claim has been paid. If the Policy is renewed within 60 days from the date of admission of the previously paid claim for the named Insured/Insured Persons, as the case may be, a 60 days cooling off period shall apply for the same ailment in the renewed policy opted, however there would be no waiting period for other listed vector-borne diseases. If the Policy is renewed post 60 days from the date of admission of the previously paid claim for the named Insured/Insured Persons, as the case may be, then a fresh waiting period of 15 days shall apply for all listed vector-borne diseases.